I was recently working as an Emcee for a huge technology conference in Texas. They wanted me to be both a motivational speaker and a master of ceremonies. It was a fun date, it was (happily) well received. It was a total hoot. Thanks ISTE for inviting me. 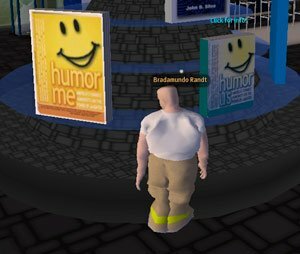 Are you looking for a motivational speaker, humorist or humor in the workplace expert to speak for your organization, and you want to hold your event in Second Life? I’d love to be your guy. Contact me here.